Welcome to Zach Hornsby Personal Training. A good qualified personal training professional can create an individualized program that is perfect for your fitness needs. Getting such a customized program will not only target your problem areas, but also help you achieve the best results in the most efficient way possible. To experience the benefits, however, you need a highly qualified personal trainer. 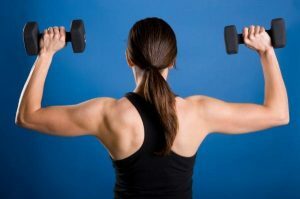 There are many instructors that lack the necessary competence needed to help you lose weight or build muscle, though having a customized fitness program is the best option, and a fitness professional that is well educated and knowledgeable seems to work even better because they can create a fitness formula that really works for your needs. The second biggest advantage of working out with a fitness training professional is the motivation and stimulation you will get. A fitness trainer will push you hard, making you work beyond your comfort zone. The psychological aspect of working out with a trainer is even more important than getting an individual program. Perseverance is the key to succeeding in the fitness world and it can be difficult to achieve many of your fitness goals on your own. Which is why so many individuals hire a personal trainer because they understand what you need to help you reach your goals. Even if that means a little push or words of encouragement. To book your first personal training session, contact Zach today.